Today the Infocomm Development Authority (IDA) announced that they were looking to increase competition in the mobile sector by expanding the role of Mobile Virtual Network Operators (MVNO). To those who are not familiar with the jargon of the mobile industry, MVNOs, as the name suggests, do not operate their own networks but instead lease spectrum from other operators and piggy-back on their networks. They then attract customers by offering slightly cheaper price plans than the main operators. They are wholly dependent on the main operators for maintenance of the network. Service standards are thus usually considerably worse. The main operators will prioritize their own customers in the event of any breakdown. It can sometimes take weeks to get services restored as I discovered to my cost when using a MVNO for my broadband service in the UK many years ago. At present there are up to six small MVNOs in Singapore mainly serving foreign workers with a collective market share of less than 1%. Virgin, the UK company controlled by Richard Branson, tried to enter the market as a MVNO in 2001 but quickly gave up, presumably because it was unable to get attractive terms for its leased spectrum. This may have had something to do with the fact that all the mobile companies, like all the telecoms companies and indeed most of the large corporations serving the domestic market, are controlled by the government through the octopus-like tentacles of Temasek. As I have long argued, extensive domestic monopolies and cartels, the majority of which lead back to the government, mean that Singaporeans pay more for many goods and services than citizens of other countries and often suffer from a lack of innovation. This is particularly true in mobiles. Mobile plans in Singapore require you to buy a mobile separately. Mobile operators in other countries often offer handsets and include the cost of this in the price plans. Surprisingly Singaporeans often pay more for their plans without a handset than residents of the UK and the US do for mobile plans that include a new handset. We also lag behind in innovation. While Singapore may not look bad in a comparison of international broadband speeds we have to consider that we are just a city and a fair comparison would be with speeds in the major cities. The actual broadband speeds, in my experience of Starhub’s network, were nothing like the advertised ones, because it was shared with many users. While SingTel is now rolling out plans with advertised speeds of up to 500 Mbps, this compares with speeds in major US cities offered by Google and others of up to 1,000Mbps. And the major US mobile operators rolled 4G networks a long time before Singapore. I also read today that the regulator had to intervene to stop the state-owned mobile companies from charging their customers for what should be a free upgrade to the 4G network. 4G was rolled out in the UK last year so we are lagging behind. In Parliament on Monday the Government announced changes to the Telecommunications Act designed to give them powers to require a telecoms company, or Telco, to divest its assets and business to a separate entity should it be found to be engaging in anti-competitive behaviour. Also the government now has the power to take over any network or services if it is in the National or public interest to do so. According to the Minister for Information, Communications and the Arts, Dr. Yaacob Ibrahim, the Government is committed to ensuring fair competition ‘because ultimately we believe that this will drive prices to an affordable level for all Singaporeans’. This sounds suspiciously similar to what I have always said. Namely, that competition is as vital in business as it is in politics. In particular I was sceptical not so far back, of the Worker’s Party plans for nationalising the transport industry when I felt that competition (with a strong neutral regulator ) would always be in the best interests of the consumer. My caveat was that I always point out that what we think of as privatised here in Singapore is not really that privatised. Are these proposed changes to the Telecommunications Act anything other than a public relations charade designed to give the appearance of opening up the domestic economy to more competition? In fact they do nothing to reduce the power of government-owned or controlled cartels which dominate many of the key consumer sectors of the economy? Who, after all, is the ultimate owner of the three Telcos operating in Singapore? SingTel, though listed, is majority-owned by Temasek. 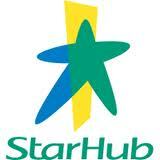 As is Starhub, in which Temasek has an interest, either directly or indirectly, of about 57%. Even the third player, M1, has Keppel Telecoms (an 80% owned subsidiary of Keppel Corporation in which Temasek holds 22%) and SPH Multimedia (part of Mediacorp) as holders of a third of its shares. The Malaysian state Telco, Axiata, owns a further 20%. In any case, a large number of the directors and senior managers at all three Telcos are either MPs, or have a Civil Service or GLC background. Since the Government clearly controls the telecoms industry already, the need for extra powers to nationalize it in the public interest would appear to be unnecessary. Without the sale of Temasek’s stakes in at least one of the dominant mobile operators (SingTel or Starhub) here to the private sector, it is difficult to see how we are going to get a more competitive environment, and thus lower costs and greater innovation. Monopolists’ desire to protect their previous investments is going to be a big factor inhibiting their take up of new technologies. Fiddling at the edges with weak players, like MVNOs, who will remain dependent on the regulator to ensure they get treated fairly, is not going to change that. We are moving globally to a world where quantum leaps in technology and productivity are reducing marginal costs to zero in many industries. 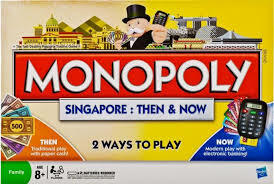 While this might seem a natural recipe for monopoly, technology is changing so rapidly in many industries that the state capitalist model that Singapore espouses risks being left trailing in the dust. Our state-owned companies may try to hold back innovation and restrict consumer choice at the PAP’s behest to make sure they control the free flow of information and continue to reap monopoly profits. However technology will invariably find a work-around. One example is the fight unfolding at the moment in the US where a tiny start-up, Aereo, whose business model allows consumers to by-pass the established networks and cable companies and watch TV over the internet, is being challenged in the Supreme Court by the same companies. I have long advocated a radical dismantling of the state capitalist model and a strengthening of competition regulation if we are to encourage innovation. Mobile telecoms is just one area where government monopoly does not serve consumers’ interests nor our ability to compete globally in new technology industries.